you are here home visit fife highlight "Coffee for two, champagne for one"
"Coffee for two, champagne for one"
It was a blow with an umbrella on a damp day on Kirkcaldy High Street that triggered the duel. George Morgan, a rather hot-headed agent of the Bank of Scotland, struck David Landale, a linen merchant. The final insult in an escalating argument which led to pistols at dawn and a man's death. Duelling was about honour, and in this case Landale thought Morgan’s gossiping had damaged his business reputation. The linen merchant left the Bank of Scotland and wrote a letter of complaint. This enraged Morgan, who wanted revenge! He knew that if he struck Landale, a duel would be demanded - hence the brolly assault! But on an early morning at Cardenbarns Farm (Cardenden), things didn't go Morgan's way. Despite being an ex-military man he was shot dead by the novice marksman Landale. He had purchased new percussion pistols and these may have given Landale an advantage. 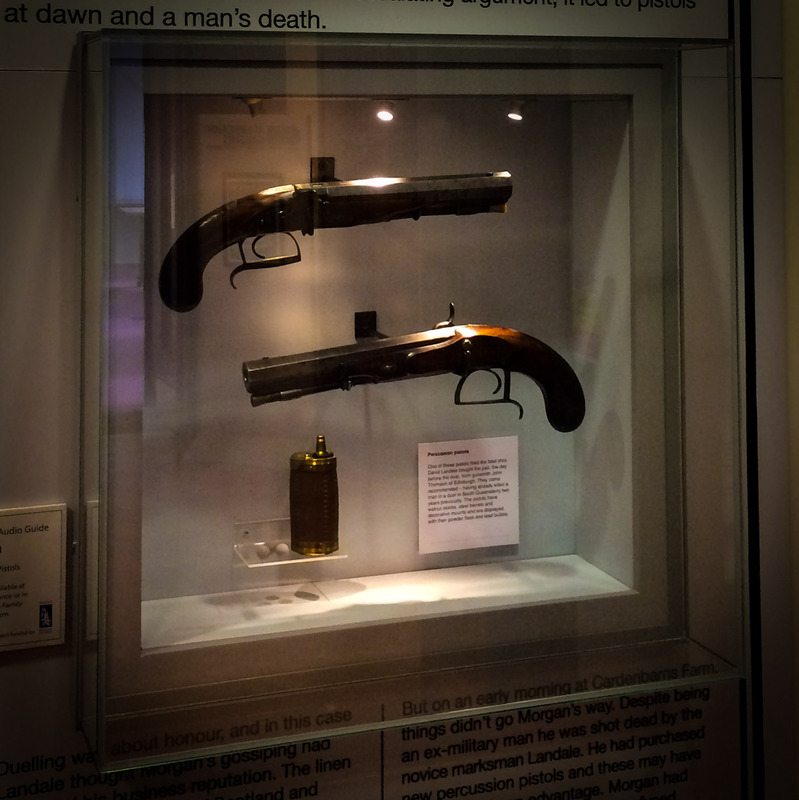 Morgan had been offered the use of one but refused, preferring his older flintlock style guns. Landale stood trial and was found not guilty of murder. A final twist occurred in 1851 when a marriage took place - between George Morgan's nephew and David Landale's daughter!